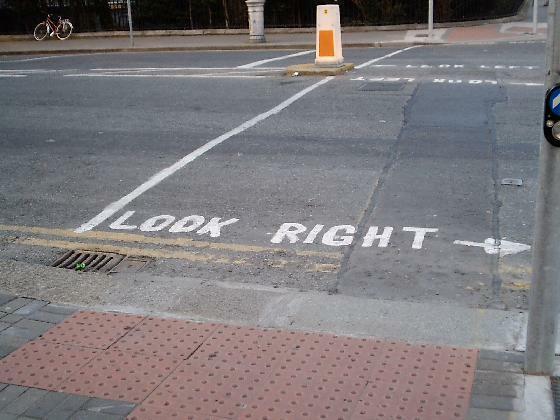 The Unbirthdays: Look right, THEN left. Today was the first day that Ireland ceased to be foreign to me. It happened rather suddenly and caught me off guard. I was crossing the street to head into work and I actually looked right first as apparently I've finally gotten used to the cars driving on the opposite sides of the road. I can't even tell you how many busses have almost mowed me down because I look left, see no one coming and step out into the street. But today, today I crossed the street on my own without the use of the convenient signs.